Just a few days before the running of this year's Derby at Epsom, it was fascinating to discover during Chris McGrath's talk on May 26th that 95 per cent of all thoroughbred champions have a line that can be traced back to an episode in the 18th Century involving a Yorkshireman, Thomas Darley. He had operated as a merchant with the Levant Company in Arabia for many years and Chris showed us an image of the beautiful city of Aleppo as it was at the time - compared with its tragic ruins today. It was here that Darley bought a young Arab colt, which he brought back home and used to start a bloodline from which so many flat-racing champions are descended. 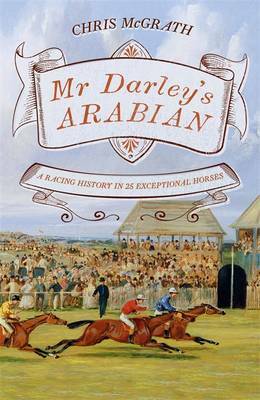 The complete story is told in Chris's recent book, Mr Darley's Arabian, which was short-listed for the prestigious Williams Hill Sports Book of the year. All thoroughbreds stem from one of only three stallions imported to England around 300 years ago - the Darley Arabian, the Godolphin Arabian and the Beverley Turk, although Chris told us the last two have been pretty much eradicated from the top line of racehorse pedigrees - ie sons begat by fathers. In reality, the Darley Arabian has achieved a virtual monopoly and Frankel, one of the greatest racehorses of recent years, only raced against two horses in his entire career which did not ultimately trace their "male tail" ancestry to the Darley Arabian. In fact, the Darley Arabian never raced and produced only around a score of foals after being exported to the family estate in Yorkshire by Darley. Yet, Chris said, the horse has become the fount of "a eugenic miracle", uniting the lineage of nineteen out of twenty thoroughbreds lining up for any race anywhere in the world - from Royal Ascot to the Melbourne Cup to the Kentucky Derby. Improbably, the Darley Arabian sired one outstanding racehorse, Flying Childers, but it was his hopeless brother, Bleeding Childers (so named because he burst blood vessels every time he galloped), who laid the foundations for the modern breed. Chris told us that - for this horse to preserve the genes of their sire when Flying Childers appeared so much better qualified - represents a fitting start for its meandering, haphazard evolution. 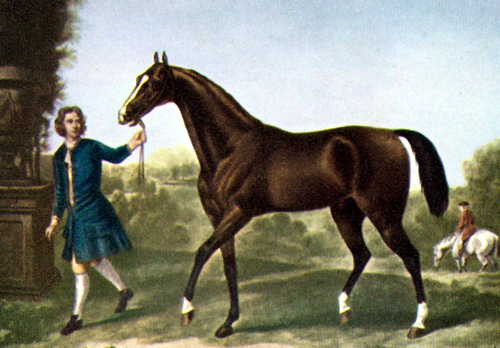 Even the great 18th Century racehorse, Eclipse, hailed as the template for the modern thoroughbred, was bred from a mare which had finished last in her only race - and it was said that Eclipse was so fiery in his youth that his owner nearly had him castrated. Chris also gave us details of the mother of the first great Irish stallion, Birdcatcher, which was offered to breed hunters - but found no buyer. The dam of The Baron - Birdcatcher's great son - was rejected by a country priest as inadequate to take him on his rounds. Several times, the Darley Arabian has survived only through a foal conceived just before a stallion disappeared through neglect or exile. Chris told us that through every twist and turn, the Darley Arabian has followed a constant arc as a monument to economic power. For instance, the Duke of Westminster, the richest man in the Empire, decided to upgrade his stud by acquiring a horse named Doncaster - although the duke could not bring himself to deal directly with Doncaster's owner, a Glaswegian ironmaster called James Merry. He had had the temerity to register, in his own name, the yellow and black silks made famous by countless horses raised and raced by Westminster's ancestors (in fact, he had pounced when Westminster's father briefly allowed the family stud to fall into neglect). The duke's solution was very pointed, said Chris - he waited for Robert Peck, Doncaster's trainer, to buy the horse from Merry for a record 10,000 guineas and - just two weeks later - he gave Peck 14,000 guineas for a horse, now cleansed of Merry's social contamination. Chris suggested that the Darley Arabian story unfailingly reflects the changing complexion of global wealth - and through 25 generations, the bloodline demarcates four clear shifts in the Turf's economic centre of gravity. The first four stallions, foaled between 1700 and 1750, transferred the Restoration roots of the thoroughbred into Hanoverian soil. Then Eclipse, born in 1764, opened an era dominated by the great landowners, until the repeal of the Corn Laws in 1846 - before the third phase introduced men like James Merry, the new capitalist barons of the industrial revolution. Finally, after the First World War, a global market economy divided its rewards between professional breeders and the international plutocrats, who could afford to buy into their expertise. But each of these four episodes has been united, at every stage, by the Darley Arabian line. Chris pointed out that at least 30 out of the 37 winners of the 2000 Guineas before the repeal of the Corn Laws were owned by the landowning classes. However, since World War Two, apart from a single victoiy by the Queen, the peerage has mustered just a couple of winners. He added that the unpredictability of racehorses has attracted a particular type from the privilege classes "whether reckless of merely restless" - but they tend to be more quixotic than conservative. In expanding the historical perspective of his talk, Chris pointed out that horseracing these days bears little resemblance to the pursuit in the past. Charles II loved being at Newmarket and spent time with the crowd and also rode several winners in races (and not all through the deference of his rivals), and heats were often run over four miles, with cruelty often I evidence. Even as a spectator, the king sometimes led a parallel stampede of "mounted bloods" yelling encouragement to the jockeys. But Chris added that the sport at Newmarket wasn't only confined to the track and the king's favoured dukes, Rochester and Buckingham, reserved some of their most flagrant escapades for Newmarket including the time in 1670 when a young Irish baron attempted to win £5 by walking five miles in an hour- and only failing to meet his target by five minutes. Chris also highlighted the attitudes and behaviour of aristocrats, such as the 17th Lord Derby whose family instigated the legendary race held each year in June at Epsom. With his family seat close to Liverpool, Derby was keen not to take his hereditary influence for granted - and it was said no fete or bazaar was too remote and no foundation-stone too small for him to lay. 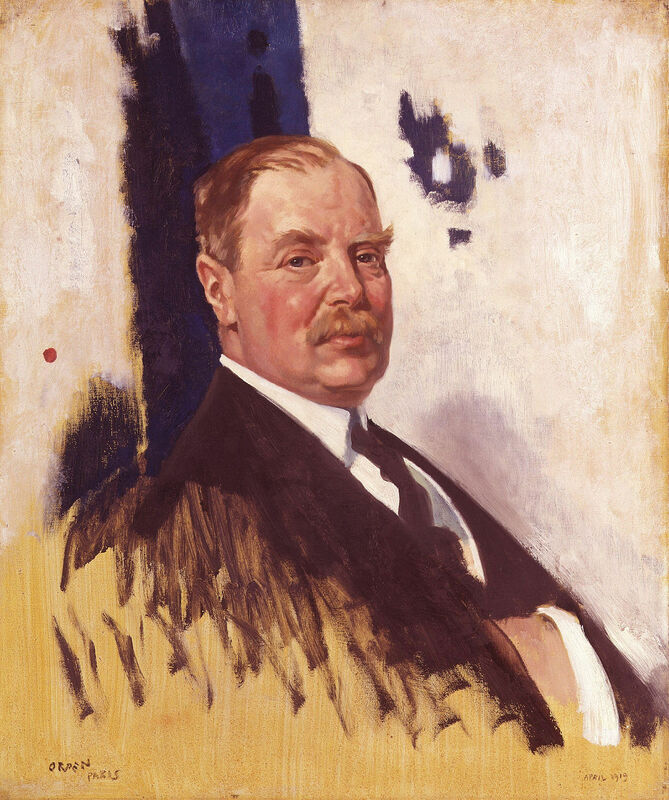 During the First World War, Lloyd George saluted him as "the most efficient recruiting sergeant in England", raising battalions of "Pals" - with many soon encamped at his estate at Knowsley. 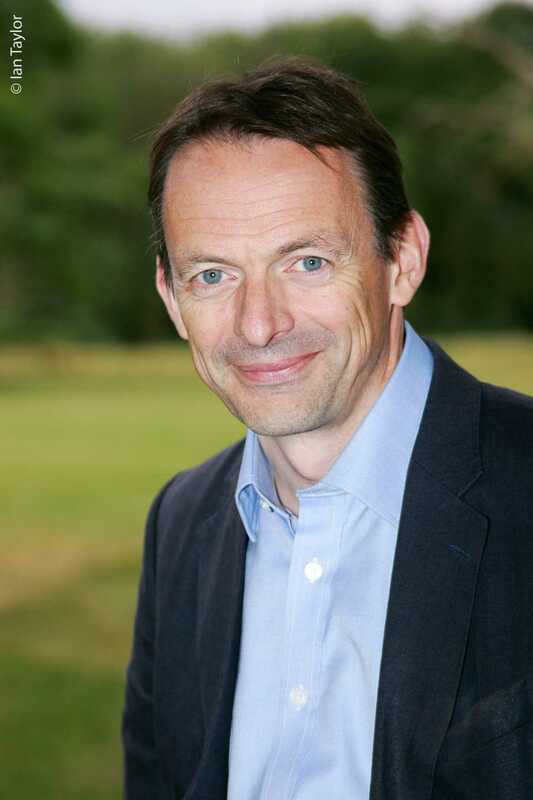 But Chris also highlighted the tragic waste at the front, giving the example of Raymond Asquith - son of the Prime Minister Herbert Asquith and brilliant epitome of the jeunesse doree - who led his men over the top and was one of 17 officers out of 22 in his battalion who were slaughtered. 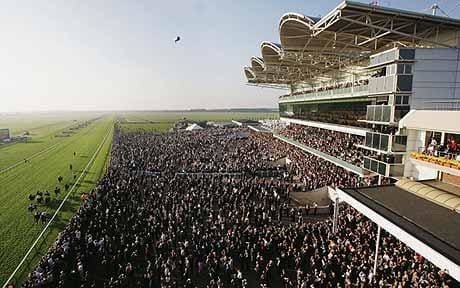 Concluding his talk, Chris suggested the changing face of the British racecourse reflects the fact that different strata of society have always converged there, as nowhere else - and he quoted the sport's best axiom that all men are equal in only two places...."on the Turf and six feet under". Over 120 people packed into the hall for Chris's talk and he sold 20 paperback copies of the highly successful Mr Darley's Arabian.